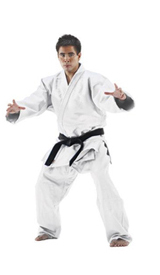 Double Weave Judo Gi (White) & other great retail gear is available. Buy Now! Highly functional and durable uniform. The double weave construction provides top-level durability that can be relied upon during intense judo randori. The tight grain kimono top stitching offers resistance against grabs and pulls. The kimono skirt utilizes a traditional diamond pattern weave. The gi pants utilize drawstring waist technology as well as reinforced knee stitching. Q. Very well constructed and durable uniform. Dense but not impossible to move in. Reinforcements at the hips is helpful since I pull in this area. Shrinkage seemed to . . .
A. Very well constructed and durable uniform. Dense but not impossible to move in. Reinforcements at the hips is helpful since I pull in this area. Shrinkage seemed to . . . Comment. Very well constructed and durable uniform. Dense but not impossible to move in. Reinforcements at the hips is helpful since I pull in this area. Shrinkage seemed to . . .
Q. When will you be getting more in size A2 or A2L? A. When will you be getting more in size A2 or A2L? Comment. When will you be getting more in size A2 or A2L? Q. If someone is 6 foot (maybe 6'1) and 170 pounds, what size should be ordered? A. If someone is 6 foot (maybe 6'1) and 170 pounds, what size should be ordered? Comment. If someone is 6 foot (maybe 6'1) and 170 pounds, what size should be ordered? Hi Nick. The 4 would be best for your weight. although you might find the sleeves and pant legs a little short. I think the best compromise would be 5. I believe this double weave is heavier, closer to 700-750. Solid double weave material and still moves freely. I can see this gi lasting a few years! What about for 5'6, 200? 4.5? i wear a 2.5 for a blue mizuno competition gi and it fits perfectly. 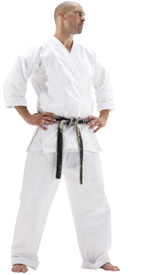 what would be a comparable size in the fuji white double weave gi? 2.5 or a 3? thanks in advance. I'm 5'10 240 and not sure which size to go with, a 5 or 6? Can you recommend which size to go with? Do the gi's shrink after washing? Also, I noticed there is 5.5 and so forth. What is 5.5? Hi Ian. Due to the cotton construction you'll probably get some shrinking with this gi. As such, the 5 is probably a safe bet (6 would probably be too long and baggy). The .5 sizes are just to help people who don't find themselves matching up to regular sizes. needing a gi for my son he is 5'8.5 and at 130 lbs what size do you recommend? Hi Eddie. The size 3 would be perfect for his weight and have slightly shorter-than-average sleeves and pants for him. You could bump up to 4 but expect some extra baggy material. I am a 5'4" and 220 lb lady with most weight in the hips and thighs. What size gi would be most appropriate? I think the size 4 is a safe bet for you. If you get it and it just doesn't seem right, reach out to use before you use it in class or wash it. We'll work on an exchange. If im 5'9 and 250 would a size 5 be good? Hi Troy. Yes, a 5 would probably serve you well. If you carry extra weight around the midsection you might find it snug there, but if it is problematic just contact us for a size exchange before you wear it to class or wash it. I'm 5'8 and around 240lbs. I am wondering if a size 6 or size 5 would work best for me. I am getting back into judo after several years of being out of it. I think the size 5 would actually be your best bet. I am 6'1" 145lb 30" waist, what size gi and belt should I get? Hi Asa. I think the size 5 would be the best combo of height and width. You might find it a little baggy, in which case you can shrink it intentionally in the wash/dry. I am 6'-2" and 270 lbs. What size do you recommend? I think the size 6 would suit you the best. 6'2", 240 lb male. What size should I order? Hi Lefty. I think you'd be happiest with the size 5. I am 5'4" and 150 lbs female, what size do you recommend? I think the size 3 would be good as it would still allow a little room to shrink in the wash. I'm 5'2'' 115 lbs approximately. Should i be ordering the size 2 ? Hi Sibel. I think the size 2 would be good, and will be just a little big so that when you wash it and spin dry it should shrink down to the ideal size. It is the first time buy a Fuji judogi, and I highly recommend it. the price is very affordable, I'm thinking about buying reversible one. Quality Judo Gi, great customer service. I ordered one size up. Sleeves fell about 1 inch past wrist with arms at side. Washed it in cold water, dried it thoroughly (occasionally interrupting cycle to check fit), fits perfectly. Did not shrink after first washing. What size do you recommend for a 5'4" and 190lb female? I think a size 4 might be the best bet. Size 5 would be a safe choice but you would likely have to hem the pant legs and sleeves. is it come with belt ? or do i need to order one ? Hi Samer. This particular gi does not come with a belt. 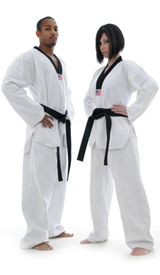 You'll have to order one separately, which you can browse here: http://www.karatedepot.com/karate_belts.html. I am 5'11 about 350. I have a Blue fuji that is an A9 and was looking for a White Fuji A9. Do you know if you will be getting any in? Hi Anthony. We've got size 8 over here: https://www.martialartssupplies.com/fuji-judo-singleweave.html. That's about the best we can do - there are no shipments of 9's coming in. After reading reviews I decided to order the Fuji DW as my first gi, and after experiencing the quality of the product over the past few weeks, I am glad I did. Although it has quite the bit of reinforcement, it is still soft - and I found only minimal shrinkage after cold washing and hang drying. I am 5'8" 160lbs and I ordered the 3.5 which provided a good fit... but I must note that there seems to be some excess material in the back shoulder area of the jacket (I presume this could be addressed with some heat in the drying cycle). The pants are fantastic. I now also own a size 4 KI International which has greatly shrunk to a good fit (the sleeves a bit too much), but it lacks the soft refined feel of the Fuji. I loved it enough to order another, and I will note that my sensai commented on the quality of the gi when he first grabbed it, inquiring on the maker and the price. First of all, kudos to excellent service by martial arts supplies. I ordered with a free delivery, it arrives in half the estimated time. About the gi, it is a very good gi quality wise. The material is quite soft for a double weave and the fit is just right. About the shrinkage, expect the pants length to decrease by an inch and the sleeves from 0.5 to 1 inch after your FIRST wash ( I always use warm water and hot dryer). However, that's it, It DOESN'T SHRINK AFTER THAT, at least so far , for me. About the Size Chart : always safe to buy ONE SIZE SMALLER. U won't regret ;-). This gi is a good mid-heavy weight and offers great value at the price. The size chart was pretty accurate, but if your are not sure, you probably want to size down, not up. Minimimal shrinkage with first few washings so hopefully that will not be an issue. I'm 5' 9.5" @ 220 LBS ... about 25lbs overweight. I'm lean at 195-200. Will likely shed the weight within a few months after beginning Judo. My Karate gi is a size 6. Is there a size that I won't have to get altered? I believe you could go with the size 5 and not have to get it altered. I would be cautious about washing though as it might shrink (cold wash and hang dry recommended). I am 5.65 feet and at this point170 lb, hope to get down to my ideal weight of 160 lb after some training. Is size 3.5 the right one for me in a fuji double weave? I dont want a tight or too loose fit, just right. Does it come with white belt? Hi Syrus. This gi does not come stock with a belt, you'll need to pick one up here - un-jj-857. I think the 3.5 is a smart choice for you size-wise. Great double weave Gi for the price! The size chart recommended a size 6. It is big and has not shrunk even after several washes. Great gi for the price but go with a 1/2 size smaller than what they recommend. I tried on a fuji judo single weave with the shoulder embroidery at a tournament, and the gi fit really well, except for the sleeve circumference, which was about the same as my bjj gi, and it was impossible to fit the Sokuteiki into the sleeve. Is this gi legal for tournaments? According to Fuji, and as far as we have been able to determine ourselves, this gi does meet tournament specs. Of course, getting the right size is a key factor, but the construction is built around being competition ready. I am 15 years old, 5ft 4.5in, about 110 lbs. I have an HSU blue gi size 2 that is too small (always cold washed and drip-dried), and an HSU size 3 that is too big (washed in hot water and dried). What size would you recommend if I am always going to wash cold and drip dry? One nice thing about this fuji gi is that it comes in 2.5. I might recommend that for you. A great buy. The half sizes mean less sewing and shrinking in the washer and dryer. The fit is near perfect. The cotton is softer than most and needs less time to break-in. A Fantastic price for a fantastic product. Great gi. Very soft. Great stiching along all the hem lines. Size chart seems to be about 1 size too large according to everthing Ive read online at other places. I'm 5'10" and 170lbs, I ordered a size 5 and it was Big. Shrunk the pants and the top and still on the large size. It is still wearable, but one size smaller would have been perfect. Other than that I am very happy with it and ordered one for my daughter only the single weave though. Order this gi you wont be disappointed! 4 stars just because of the size problem. 5 stars if there wasn't the discrepancy with the size. Is there "Fuji" embroidery on the gi as the first picture shown? The Fuji patch comes as an extra, it is not sewn on when you purchase the gi. Im 5'71/2" weighs 275 lbs. what size do i need to buy 5.5 or 6 ? I would recommend bumping up to the 6 or even 7, especially if you know someone who can hem pant legs for you (or if you can do it). I'm a big guy. I walk around at ~300, but I don't carry weight as if I'm that big aside from having a barrel chest (even when I wrestled at 215 I had broad shoulders and a thick chest.) Would an 8 do right in this? Hi Gilag. It sounds like you could do an 8 as long as you pay careful attention to avoiding was shrinkage (utilize cold wash, hang dry). If you're a little concerned about that you can bump up to 9. Very nice gi for the price, super heavy without being to stiff. Sizes run a bit large so be careful there. Also didn't shrink as much as I expected it would. I'd have to say go with the size 5. If you get a little shrinking in the wash I'm afraid the 4.5 would shrink out of useful range. I don't have the exact weight on hand but I do know this double weave is nice and thick. I am 5'10" but weigh 270lbs. In my younger days and weighing 210-220 i was wearing a size 6. It was great in length for arms and legs. Now I have a 2yr old size 7 gi that needs replaced and is also to small around my belly. When i got this gi it was to long in arms and legs and i had to shorten them. What size do you recammend and do you think i will have to adjust lengths? Thanks for your help. If size 7 is tight around the belly you'll have to jump up to an 8. If you do, you'll definitely have to adjust the sleeves and pant legs. my son 15 year old son is 5'11' to 6' tall but only weighs about 140. what size double gi would he needs? also i normaly wear a size 4 however the pants are too short. any ideaS? A size 5 for your son would be a good compromise, although it might be a touch short in the pant legs and sleeves. A 5.5 would be ideal for height but also a bit more baggy. As for you, you can grab separate pants at a larger size here - un-ju-31. For the quality I give this gi 5 stars, the only problem was the size chart, I'm 5'6", which is the reason I first ordered a size 4, but it was huge!! I had to return it and get another gi (which by the way was extremely easy, 5 stars on that too). I got size 3 and it fits perfect according to the judo guidelines, I will post a review on the right item, 'cause it's not this one, it's a blue gi size 3 that i own, but i can tell you, it'll get 5 stars, cheap and great quality!! Just change the size chart so it won't lie to another customer and everything will be great. Do these gis come with a belt? No, this gi will not come with a belt. what are the .5 sizes? What's the difference, say, between a #5 size gi and a #5.5? The sizing chart doesn't list the .5 variations. The .5 sizes are for individuals who look at the sizing chart and feel as if they are stuck in between two sizes. So, for example, if you're too tall for a 5 but too skinny for a 6, 5.5 might be the right choice. I like to throw my gi in the dryer, how much will it shrink up...a full size a half size ? If I am 5 10 and wgt 185 - 195 lbs, with athletic build ? Thanks. Hey Michael. I haven't put this particular brand through the dryer test yet. That being said, I think you could expect a full size shrink. I'm thinking of buying a Fuji double weave gi. I'm 5'9" and 177 lbs. I bought a size 4 in another brand- the top was fine, but the pants were too loose in the waist (and a tad long). What do you recommend for the Fuji double weave? According to your chart, I'm a size 5, but I'm worried that this will be too big. Maybe the 4.5? Hi mcorpuz. You definitely fit in the "size 5" range. I wonder - what if you would get a size 5, and then strategically shrink just the pants in the wash? You could do hot wash, spin dry. I can't guarantee it will shrink to perfection, but it's got a good shot at working. what does size nine cover as far as poundage and height? 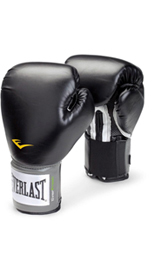 The size 9 is ideal for individuals over 300lbs and in the 6'5"-6'8" range. Go with the 5. When washing, use cold or warm water and hang dry (do not put in dryer). Tie the waist ties together before washing so they do not get lost inside the pant hem. Ive trained in Judo for a little over a year, but ive recently taken in interest in learning BJJ. Will a Double Weave Judo gi like this one be better suited for BJJ or can I train with the Single Weave judo gi that I already have? Single and double weave are both appropriate for BJJ, much like both being appropriate for judo. The real difference is in the cut. Judo gi tend to be cut a little wider and looser than BJJ, but that doesn't mean they won't function. I think you'd be ok either way depending on how much thickness and stiffness you like in a gi.